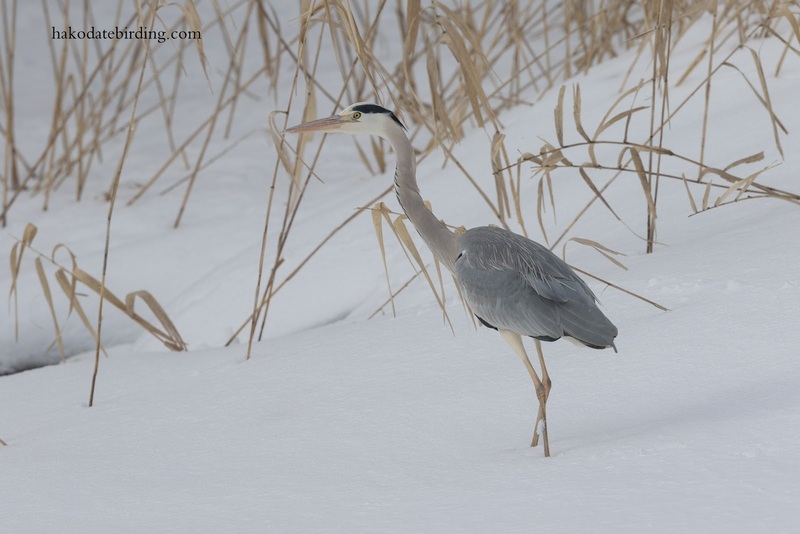 This Grey Heron was at Onuma. Also at Onuma were 5 Smew, 3 White Tailed Eagle and the lone Bean Goose among the Whooper Swans. A male Goshawk was bird of the day but I couldn't get a clear unobstructed view of it before it flew off. I went to Sawara hoping to see the Peregrine again. The snow was deep here and it was a real slog floundering through the snow drifts. 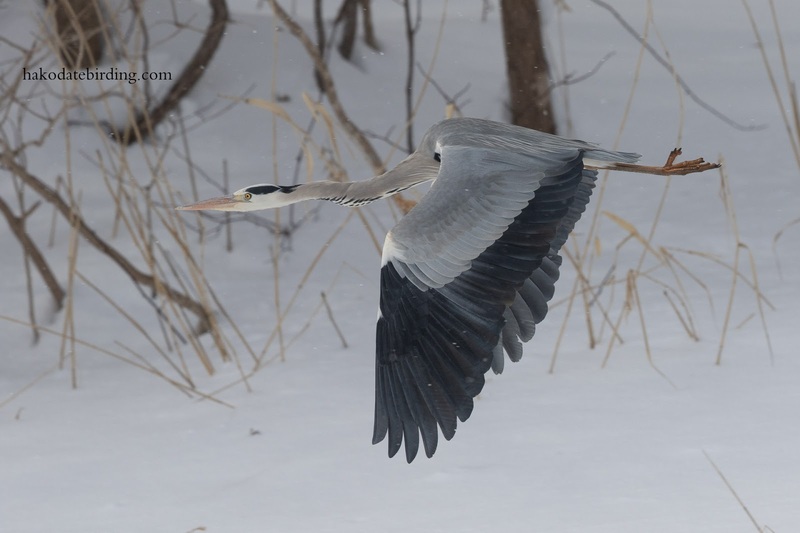 Not only did I not see the falcon I didn't see anything at all except a few crows and gulls. 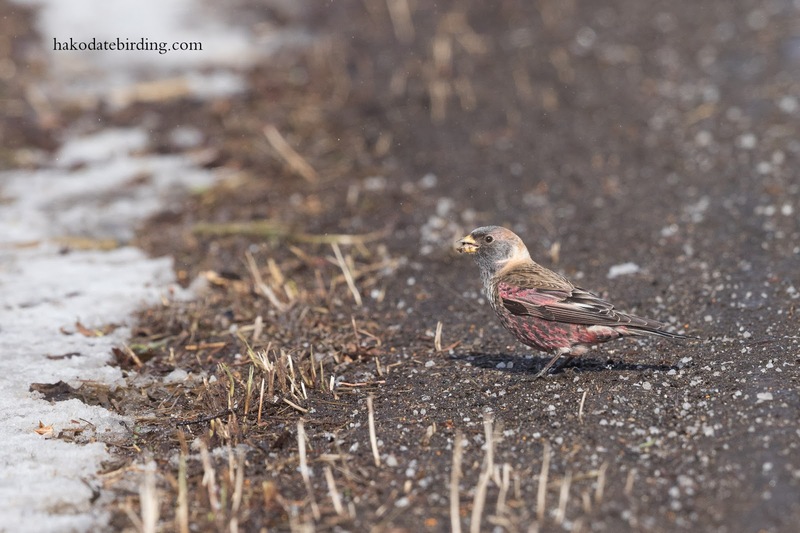 This Asian Rosy Finch was at the side of the road in Shikabe. There were 5 of them plus a male Yellow Throated Bunting but every time a car went past they flew off, even the above shot is a heavy crop. Back in Kamiiso the the flock of Black Necked Grebes were still present and there was also a lone Slavonian. they didn't come close enough for a decent photo though. I now have so many damn photos that I feel like I ought to 'do' something with them. A self published book (a complete vanity project I know) next year is in the pipeworks and I've also started a photo-only blog to show some of my more interesting photos from the archives. 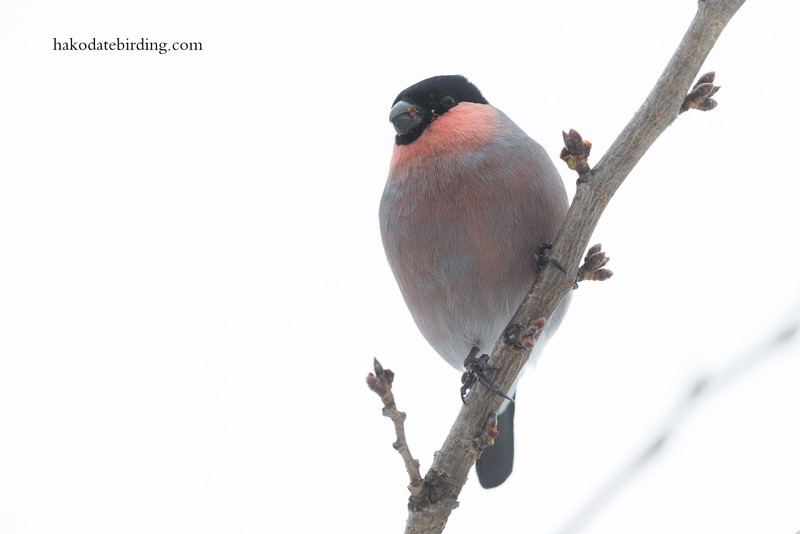 I have never seen a male Bullfinch's chest that colour but wonderful shots of him.great heron flight shots as well. 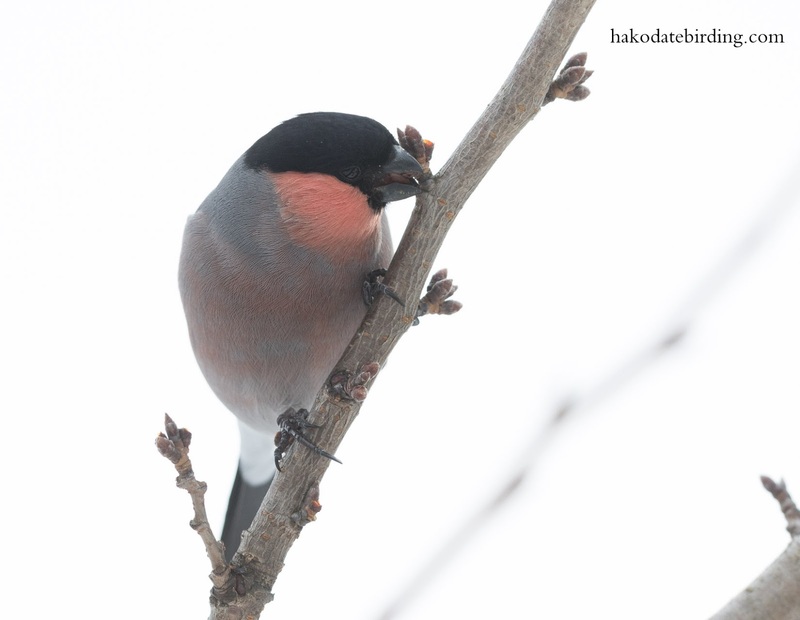 Hi Margaret, it is one of the east Asian subspecies and maybe not as striking as the ones you get in NW Europe. 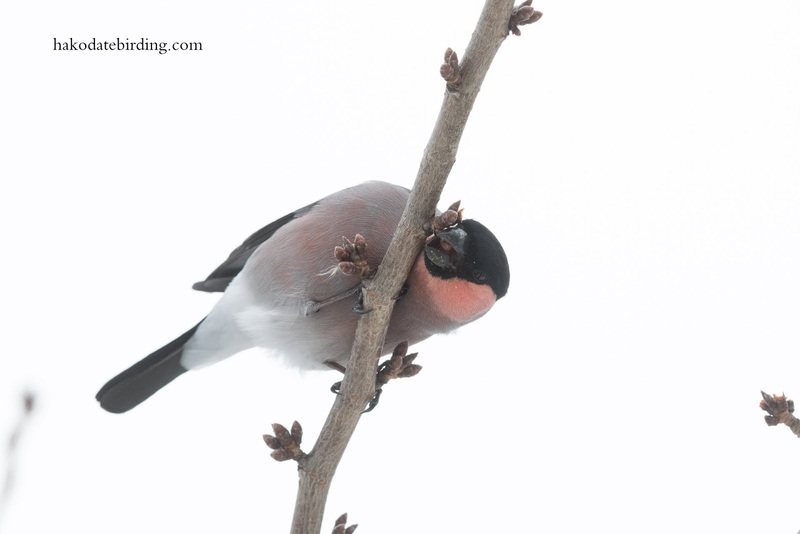 Used to get a pair of Bullfinches in my garden when I lived in Penwortham (I think they mate for life) haven't seen hide nor hair (should that be feather) since I moved here. 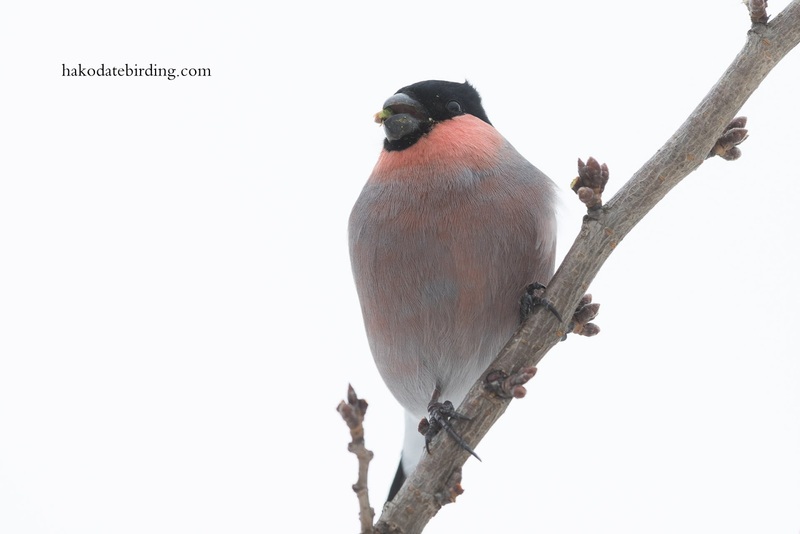 My parents used to get Bullfinches on their bird table in Worcestershire in the early 80s but not ten years later...due to local suburban sprawl. 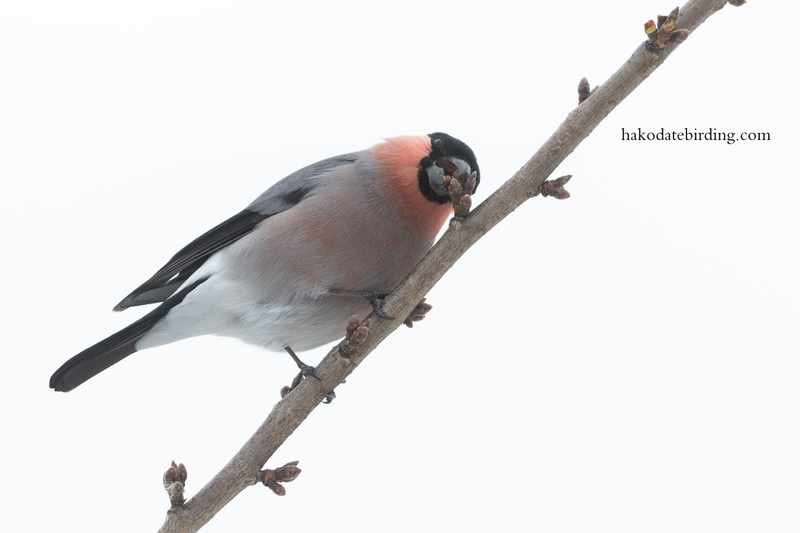 Still, nice birds ! Hi John, we never got them in our garden in Lancashire. in fact they were pretty scarce there. Hi, I didn't know that. They did used to be quite common around Penwortham when I started birding as a small boy back in the late 70's.......................but a lot of that habitat has gone forever now. 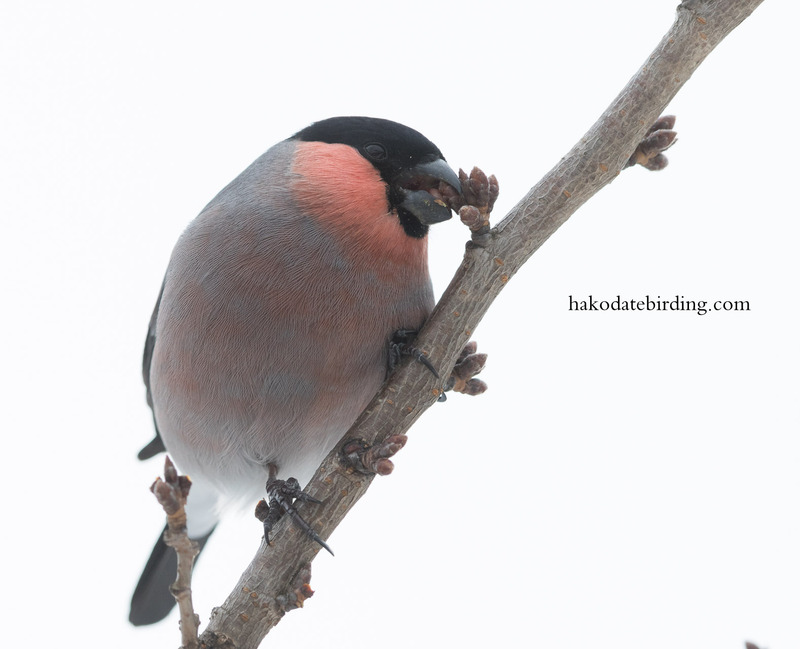 Wow, that male Bullfinch is an impressive bird.